A FLIGHT had to return to Sumburgh Airport shortly after take-off on Friday evening after the plane struck a bird. The Loganair Saab 2000, which was bound for Glasgow and had 40 passengers and three crew on board, landed safely. The bird strike triggered a warning relating to the aircraft’s left engine as it was climbing through 1,500 feet. Emergency services were in attendance at Sumburgh but they were not required. 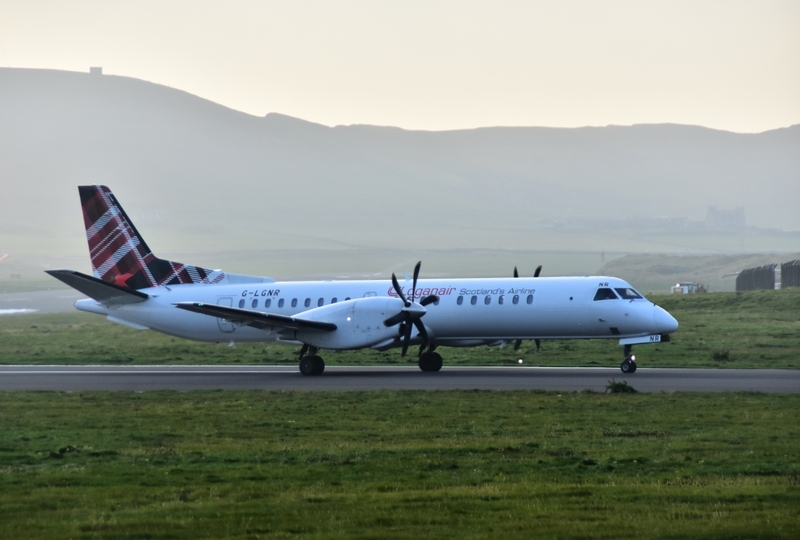 Passengers had to wait until 9am on Saturday for an alternative flight on a different plane as the airport closed overnight, with Loganair providing accommodation at Sumburgh Hotel. The aircraft has been removed from service and is being examined by engineers. A Loganair spokesman said: “Safety is always our first priority, and as always, our pilots responded immediately and appropriately to the warning that they received on the flightdeck following the bird strike – an eventuality for which every pilot is extensively trained. “The aircraft made a normal landing back at Sumburgh and our customers were able to disembark as they normally would.